This week my Friday Five is a diverse mix of things I'm loving at the moment. I'm headed to Hoboken and NYC tomorrow for the next five days. I'm attending a professional conference, visiting my bf's parents, doing a site visit for work and then working an event for work. Whew! Hope everyone has a great and more relaxing weekend than I'll have! 2. 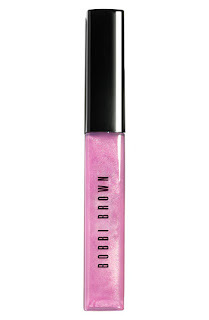 I've been trying on this lip gloss every time I'm in Sephora and just got a 15% off coupon there...I think I'll be buying this very soon. 3. Speaking of Sephora, they just started carrying these themed Benefit boxes, which are pretty awesome. 4. What can I say, I'm a sucker for an LBD...and this one has a surprise white back! 5. 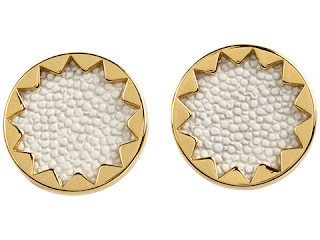 I think I need these House of Harlow studs...they are a steal at $30. Hope everyone has a fun weekend!! 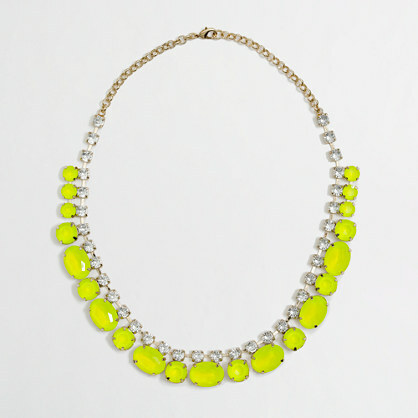 That neon necklace is amazing. I have NO neon jewelry, clearly I need to get on that! Loving the neon necklace!! And what a perfect LBD.